Offering two mounting flange options the A2 Series 40A automotive relay is also available with a shrouded version. 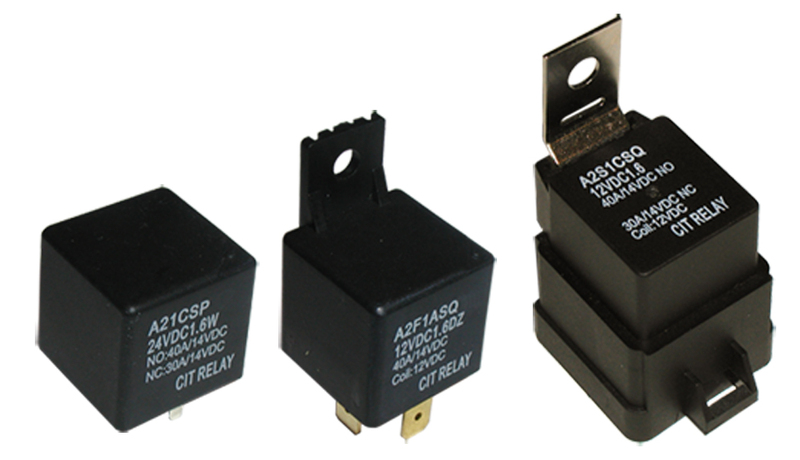 Large switching capacity up to 40A with coil voltage ranging from 6VDC up to 48VDC. Relay coil power options are 1.6W or 1.9W. Contact ratings are 1A, 1B or 1C. The A2 Series dimensions are 26.0 x 26.0 x 24.5mm.